Trump signs executive action on trade with China, blasts "fake news"
President Trump has signed an executive action in what he described as "a very big move" that asks his trade office to explore a possible investigation into China for the alleged theft of American technology and intellectual property. "We will stand up to any country that unlawfully forces American companies to transfer their valuable technology as a condition of market access," Mr. Trump said. "We will combat the counterfeiting and piracy that destroys American jobs. We will enforce the rules of fair and reciprocal trade that form the foundation of responsible commerce. And we will protect forgotten Americans who have been left behind by a global trade system that has failed to look, and I mean look, out for their interest." Mr. Trump suggested at the Monday afternoon signing that additional steps would be taken against China on trade issues. "And this is just the beginning, I want to tell you that, this is just the beginning," the president said as he signed the memo at the White House. The action comes as the United States has been seeking help from China to curb North Korea's development of nuclear weapons. 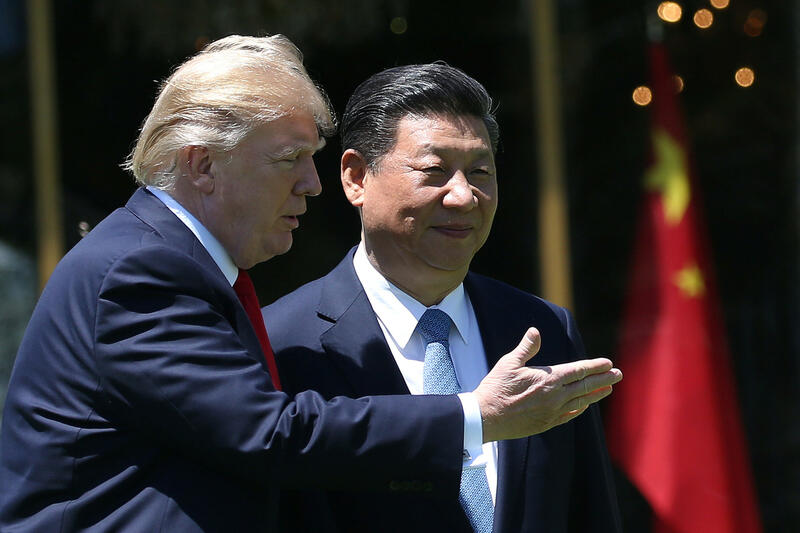 Mr. Trump wants government officials to dig into Chinese practices that force American companies to share their intellectual property in order to gain access to the world's second-largest economy. Following Mr. Trump's signature on the executive order, a reporter asked the president why he was not quicker to condemn the hate groups responsible for the disruption in Charlottesville, Virginia over the weekend. "They've been condemned, they have been condemned," Mr. Trump responded. When probed further on the issue, the president pointed to a reporter and said "it doesn't bother me at all, but you know I like real news, not fake news. You're fake news."